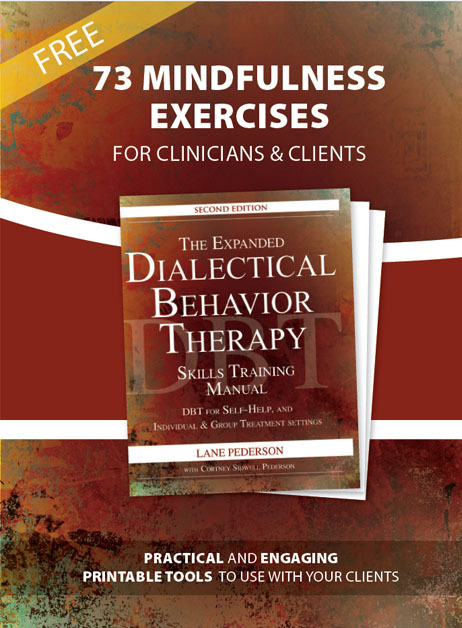 Mindfulness, which is one skill set at the heart of DBT, has become extremely popular among therapists.Yet, many therapists struggle teaching mindfulness to clients. In this free worksheet, get access to 73 mindfulness exercises that are easy to implement and can help your clients open doors to acceptance, experience, and connection to themselves and the world. These mindfulness exercises will strengthen your ability to practice mindfulness and are enjoyable too! 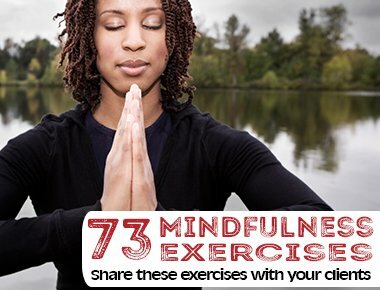 Download 73 Mindfulness Exercises to slow down and find peace, contentment, and enjoyment in everyday life. Use the following 73 mindfulness exercises with your clients.